This Chinese New Year gave the Eagle Claw Kung Fu School Lion Dance Team many exciting performances and even further growth to our team. The first of our performances started on Sunday 4th February at Buckinghamshire Chinese Association. 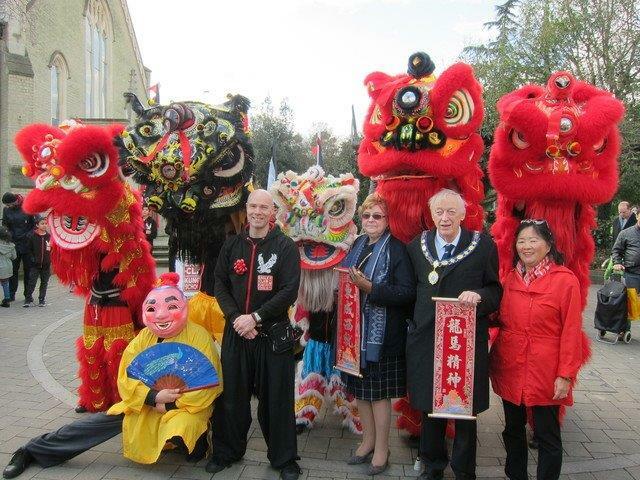 With Lion Dance performed at many restaurants throughout Berkshire, Buckinghamshire and Surrey; over a 16-day period. 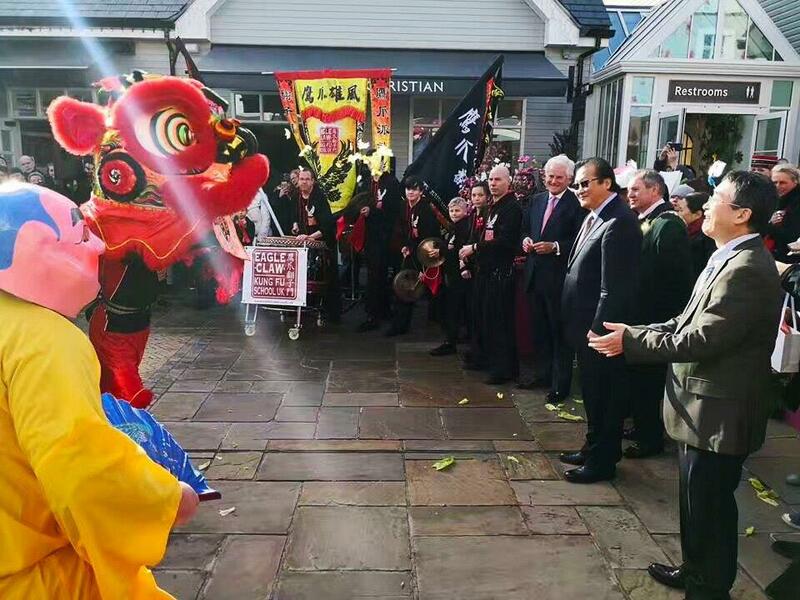 We also had the great honour of being asked to perform a traditional New Year blessing ceremony for Minister Counsellor Xu Jin and Minister Counsellor Sunan Jiang; from the people’s Republic of China’s embassy, along with the Mayor of Bicester and the High Sheriff of Oxfordshire at Bicester Village. 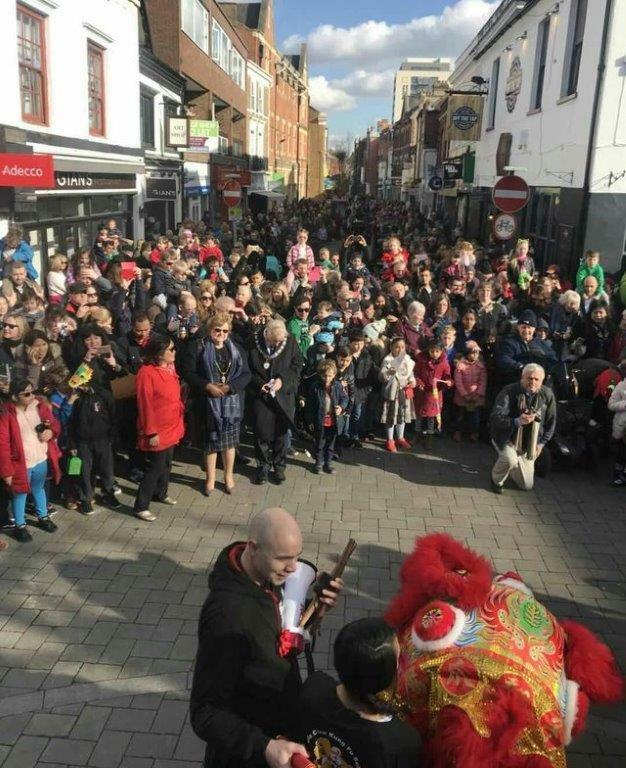 Our annual parade in Maidenhead High Street with the Chinese Community was our biggest yet, with a team of 35+ students. We did a Lion Dance with 5 lions and an eight-person thunder drumming performance. This attracted over 3,000 spectators filling the High Street completely. Due to the enjoyment this annual event has given to the public over the past 13 years; we were joined by ITV Meridian this year, who filmed the event which was then televised live on Saturday night news. As always, we have thoroughly enjoyed every moment of this Chinese New Year. Seeing the happy faces of our supporters makes every moment spectacular and we are ever grateful to those who come to watch us. From all of us at Eagle Claw Kung Fu School UK, we wish you a happy, healthy and prosperous New Year.